That’s one slide every 15 seconds, and oh yes, they auto-advance whether you like it or not. 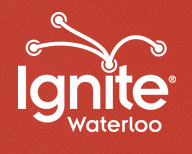 Ignite Waterloo: Enlighten us. Just make it quick. I volunteer for a speaker series called Ignite. I've given a talk and been a speaker coordinator ever since. 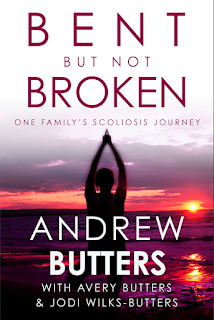 The format of the talks is what you see above the logo. It's remarkably difficult and through the speakers' workshops we hold you see all kinds of stuff. We do our best to educate the prospective speakers so they know what they're getting into, but it doesn't always work. We have a workshop coming up and I thought this would be a good time to impart a little wisdom. Hopefully this list will prepare applicants a little bit and improve their chances of being selected. Last event we turned away almost as many people as we accepted so why not take advantage of some free advice? I played around with a few concepts for this post but given the Ignite format I settled on a list approach. More specifically a list of five. One tip for each minute a speaker is up on stage. In an effort to avoid the dreaded tl;dr I’ll try to keep things short and sweet. We do this exercise in the workshops called “Log Lines”. It’s designed to help distill your message down into its most basic form and it works wonders. Too many words, too many concepts, too much of anything actually and you risk losing your audience before you even get warmed up. If you can’t summarize what you want to say in one or two sentences then try again, and keep trying until you can strip it down to the bare essentials. Simplify. I’m not saying you have to go all Tony Robbins or anything like that, but a genuine enthusiasm for your topic goes a long way. If you don’t look interested in your topic there is a very slim chance anyone else will be. Speak from the heart. The hardest part of preparing any Ignite talk is teasing out the narrative. This is something that my speaker coordinator colleagues and spend the most time on during the workshops. There are lots of great ideas that get discussed, but the ones that end up with a person on stage are the ones that can tell a story. Every story has a beginning, a middle, and an end and your Ignite talk is no different. Think of your talk as a three-act play: hook them early, have some ups and downs along the way, then drive the point home with something memorable. The good thing about this concept is that even if can always take something interesting and make it entertaining. Beginning. Middle. End. Understandably, not everyone can be a comedian and not every talk can be all laughs, but even a serious talk with a well-placed moment of levity will stick in people’s minds. John Cleese, a veritable king of comedians, says to be aware that there’s a difference between serious and solemn and that some of the funniest moments he’s experienced have come during a well delivered eulogy. Quite simply, people love to laugh, and if you can share a nugget of information with them while doing it then you’ve done your job. Laugh it up, fuzz ball. While people love to laugh, they hate to be targeted, made to feel guilty, or be underestimated. Ignite is about sharing a little bit of Waterloo Region culture that may have otherwise gone unnoticed. It’s not a sales conference or a venture capital rodeo. You’ve got an attentive audience for 5 minutes or less and you’re just one of 16 to 20 they will see that night. They should want to seek you out and have a conversation with you about your topic after the event, not wonder what your angle is or how much money you need to crowd source The Next Big Thing. Less is more. So there you have it. Five easy tips to improve your chances of being selected as an Ignite speaker. Of course, you will never get selected if you don’t apply. Attending a workshop is another sure fire way to get a leg up. Just about every speaker we've had in recent events has attended one. Our first workshop leading up to our next event will take place on August 6th at 6:30pm (location to be determined – check out the Ignite Website or sign up for the mailing list). See you there!